Career & Technical Education (CTE) is a joint educational endeavor of the MHI and the Material Handling Education Foundation, Inc (MHEFI). The program supports a number of categories of agencies and schools, among these being (but not limited to): High Schools, Technical and Career Centers, Community Colleges, Technical Colleges, Job Corps, DECA Programs, Correctional Organizations with a training and education component, and United States Military. Mission: To provide instructional support to educational institutions seeking to provide training for entry level students in the area of warehousing and distribution, supply chain and logistics. Material handling and logistics is one of the largest and fastest growing industries in America, according to the U.S. Department of Commerce and the Bureau of Labor Statistics. Why do MHI and MHEFI support such an endeavor? 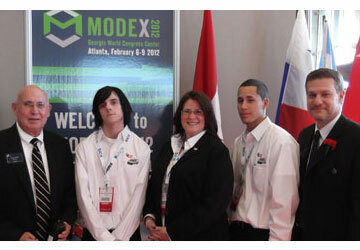 A mission of both organizations is to support education in material handling at ALL educational levels. A major initiative of the Boards of both organizations is to build the “Workforce of the Future” to support our members and their customers. The organizations want to provide training so that young persons entering the workforce, the unemployed, the under-employed, and job changers can begin a career in this dynamic industry. MHI is the premier non-profit trade association representing material handling and logistics equipment and systems manufacturers, integrators, third party logistics providers, consultants, simulators and publishers marketing their solutions in the United States. 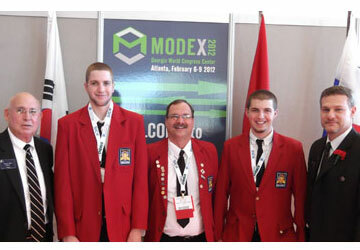 The Material Handling Education Foundation, Inc. is an independent foundation associated with MHI. MHEFI pursues private and corporate donations to provide funds to educational entities to promote and assist in bringing a wealth of industry knowledge to the interested public. 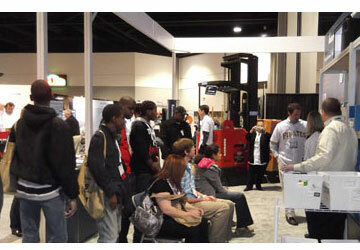 CICMHE offers a variety of educational resources related to material handling. These resources are designed for us by educators, students, industry practitioners, or others desiring resources to support material handling equipment and systems education. Named for Don Frazier, founder of Frazier Industrial Company, this new program consists of an entry-level educational program for high school, technical and community college students who will gain work-related skills and experiences in state of the art, fully-equipped working warehouse and distribution training centers that serves as a laboratory setting for the program across the nation. The Don Frazier Supply Chain Training Center in Rock Hill is the first fully functioning laboratory established in the program. 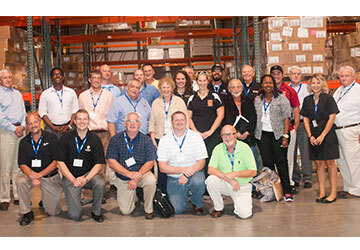 The CTE Educators Summit is a highly interactive event sponsored by MHI, targeted for instructors, program directors, and associations in the area of warehousing and distribution, logistics and supply chain. Educators from across the country will be introduced to the latest instructional materials, teaching techniques, and partnership opportunities to advance their career and technical education programs. The cost of attending the program is covered by MHI and Sponsorships, but approved participants are responsible for their own expenses to travel to/from the event. Questions? Contact Viché Thomas vthomas[at]mhi[dot]org.